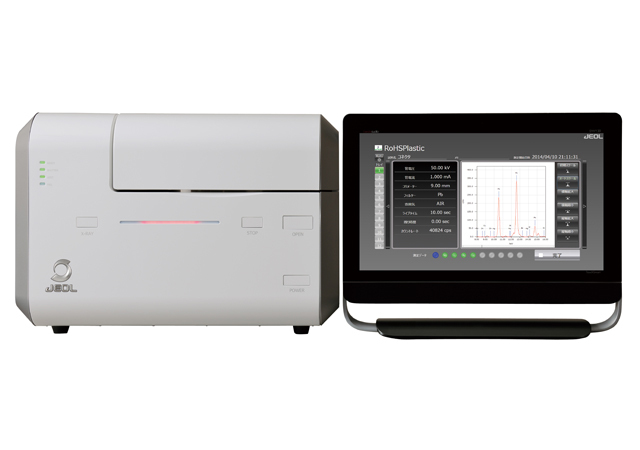 The JSX-1000S is an X-ray fluorescence spectrometer that provides quick, easy elemental analysis using touch screen operation. 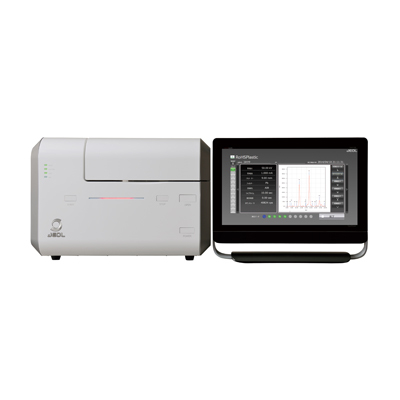 It is equipped with functions for conventional qualitative and quantitative analysis (FP method, calibration curve method), as well as screening for RoHS elements. 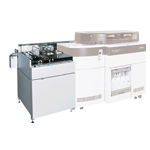 With a variety of both hardware and software options available, it is customizable to cover a wide range of analysis needs. 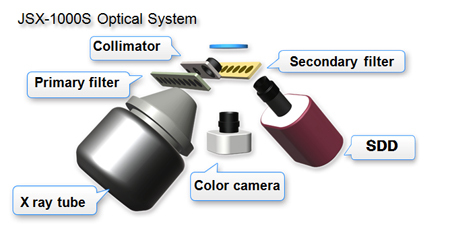 JEOL’s own SDD (silicon drift detector) and newly-developed optical system, in combination with filters designed to handle the entire energy range, make it possible to achieve high-sensitivity analysis. 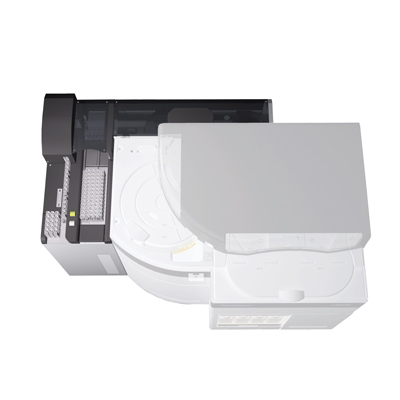 The sample chamber vacuum unit (option) further increases detection sensitivity for lighter elements. 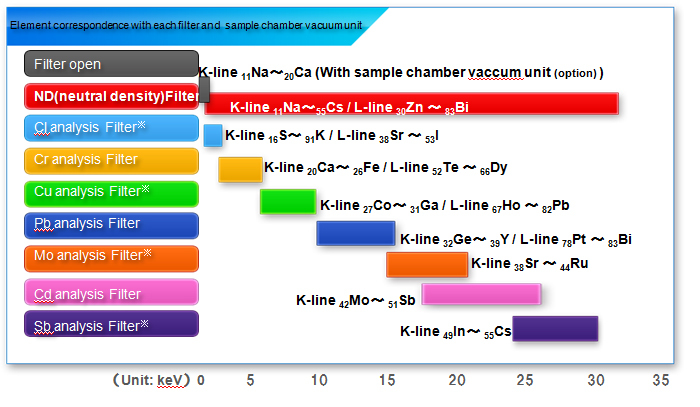 High-sensitivity analysis can be performed across the entire energy range using a maximum of 9 types of filters and a sample chamber vacuum unit. 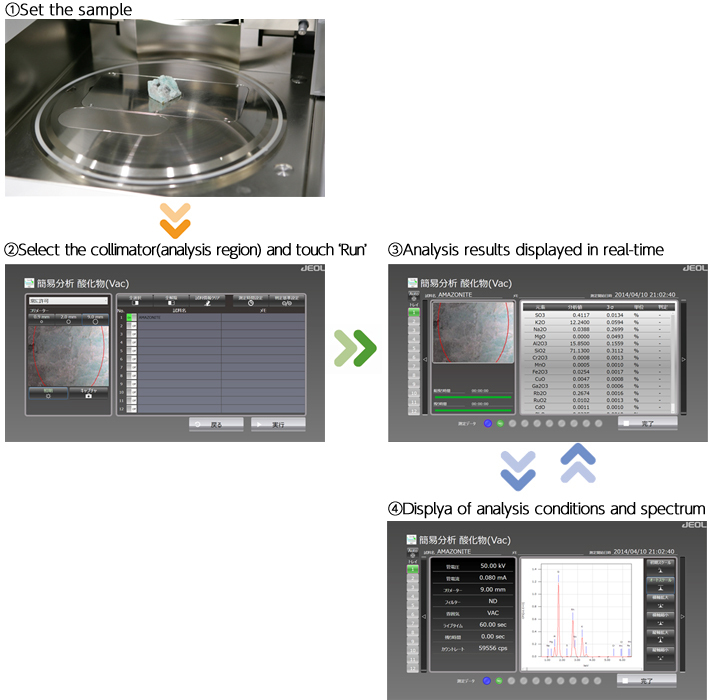 With solution based applications, the desired analysis can be executed automatically according to pre-recorded recipes. 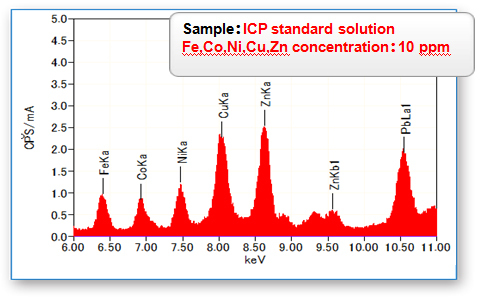 Simply select the desired solution icon from the solution application list for automated analysis and display of results. Solution applications offer simplified analysis in a wide range of fields. 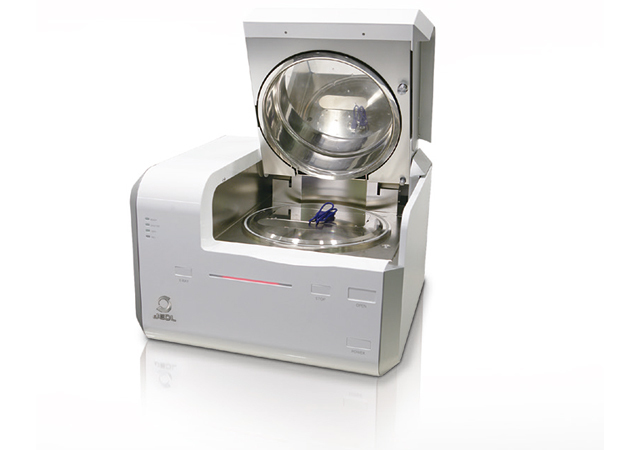 The new Smart FP (Fundamental Parameter) method makes it possible to obtain highly-accurate quantitative results without the need to prepare a standard sample, and includes automatic correction for thickness and residual ingredient balance. Notices: Windows® is either registered trademarks or trademarks of Microsoft Corporation in the United States and/or other countries.